7th Regiment 7th Regiment will rehearse this weekend, May 3-5 in New London, Conn. The corps still has open positions in its brass and color guard sections. Blue Devils A contingent of 14 Blue Devils drummers will be heading overseas to Lithuania, May 8-12, to perform and present educational clinics as special guests of Artspark and the Lithuanian Brass Band Association. "We believe strongly in the value of international exchange and are proud to be able to expose current and former Blue Devil members to a variety of international experiences, bringing our unique brand of entertainment and excellence in education to fans around the world," Executive Director David Gibbs said. Bluecoats Bluecoats' 2013 production will be titled "To Look for America." View a teaser trailer about the show on the corps' YouTube channel. 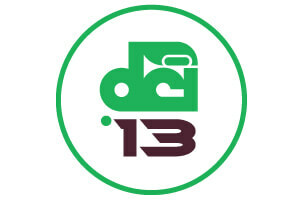 Boston Crusaders Don't miss the Boston Crusaders' Spring Preview event coming up on Saturday, May 4 in Bradenton, Fla. $15 will give attendees a chance to watch one of the first public performances of the 2013 corps as well as a "drum corps style" dinner immediately following. The Cadets Corps alum and administrator David Helms is one of the newest members of the Cadets Hall of Fame. Genesis Genesis has kicked off its third annual fundraising raffle. Prizes include Macbook laptops, an iPad and Visa gift cards. All proceeds will go toward the purchase of new uniforms as well as tuition and scholarships for corps members. Gold Auditions for Gold's color guard section will take place May 4-5 in Laguna Hills, Calif. Impulse Impulse has positions open in its baritone, mellophone and color guard sections. The corps will next rehearse May 4-5 in Riverside, Calif. Legends Legends is seeking volunteers to staff the corps' booth at Grand Rapids (Mich.) Arts Festival June 7-9. Mandarins Mandarins were among the top five organizations receiving donations in the April 29 Arts Day of Giving Campaign in the organization's local community. The corps will receive $16,000 to put toward its operations. Music City Music City posted a recap of its most recent April rehearsal camp including photos and video. The corps still has openings in its brass, front ensemble percussion and color guard sections for interested students. Oregon Crusaders Oregon Crusaders will host a fundraising event today, Friday, May 3, at the World Forestry Center in Washington Park, Portland. The evening's festivities will include dinner, live and silent auctions and a performance by the Oregon Crusaders trumpet section. Pacific Crest Registration is now open for Pacific Crest's Snare Camp for drummers taking place June 26-28 in Oceanside, Calif.
Phantom Regiment Phantom Regiment will host an educational camp for percussion students taking place near Nashville on Saturday, May 19. Pioneer Pioneer is proud to welcome four exchange students from Africa who will perform with the corps during its 2013 summer tour.